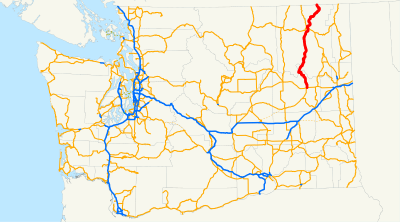 On Friday and Saturday, July 24-25, 2009, we drove the length of scenic Washington State Route 25, which spends much of its life following Roosevelt Lake, a.k.a. the Columbia River. 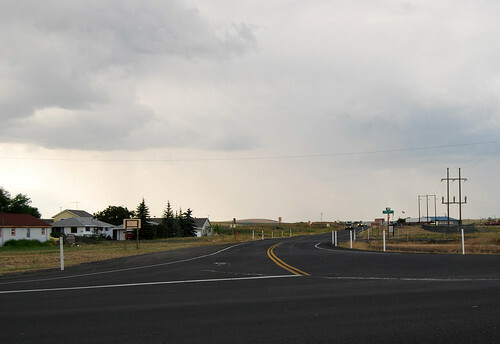 On Friday afternoon, we left the city of Davenport and US 2, heading north towards some nasty looking thunderstorms. The windshield didn't break, but the rain sure gave it its all. We spent the night at the Spokane Tribe's casino/RV park at the confluence of the Columbia and Spokane Rivers. The next morning was quite a bit calmer, weather-wise. Highway 25 continues northward through forests and fields, occasionally giving glimpes of Roosevelt Lake below. 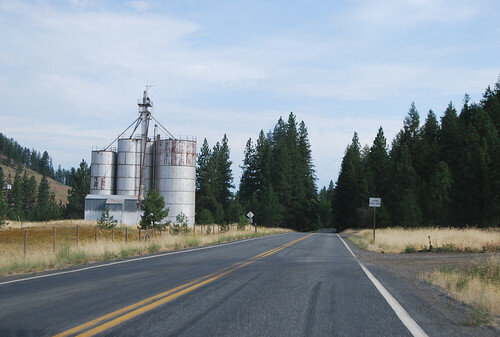 Between the towns of Fruitland and Hunters is the halfway point between the two nearest highway junctions -- nearly two hours apart. The highway sticks to the river/lake for many miles north of Hunters. The valley is very scenic. You should go there. 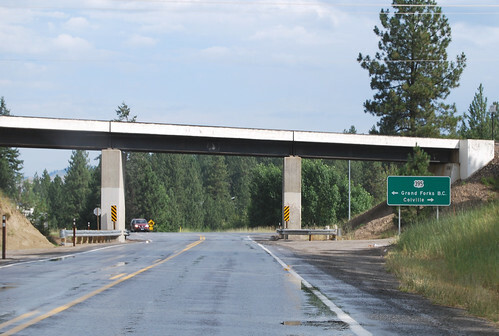 Before you know it, you're at the city of Kettle Falls and the junction with US 395 and SR 20, which are concurrent at this point. 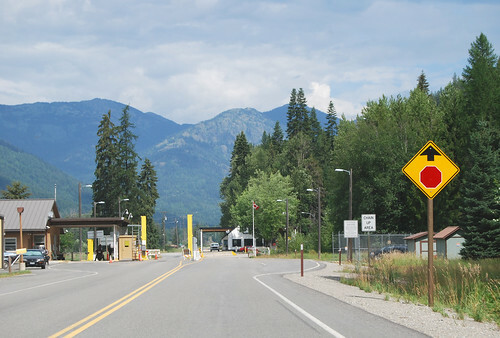 Note, however, the complete absence of signage for SR 20. I guess you just have to know. 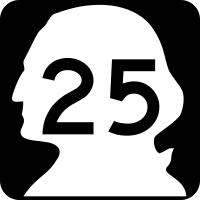 Highway 25 continues north along the lake/river, crossing under and over the railroad tracks heading upstream. After the lovely town of Northport (pedestrians! ), we cross the river (which is less than a quarter-mile wide here -- finally) and head up Sheep Creek's valley (up up up more than you'd guess) until arriving at the Frontier/Paterson border crossing. Welcome to Canada! If you like Franklin Delano Roosevelt Lake, Highway 25 is the road for you. The valley is very scenic and lovely. The locals are friendly. The slot machines are friendly, too. It took nearly a half hour to lose our $2.